As drone service technology advances, small to medium businesses like yours reap the benefits of precision aerial observation. Drone service provides inspection, survey, and documentation options once deliverable only by costly plane and helicopter pilots. Aerial observation is a valuable business tool that is no longer economically out of reach for your small businesses. As UAV technology became widely available, that dynamic changed. We recognized the potential early on and developed a quality drone service operation that makes business tasks more efficient and less costly. At Grey Matter Technologies, our drone service operators are skilled pilots committed to each task. Our team pairs drone equipment with quality cameras and sensor technology. We deliver results that enhance your survey, mapping, photography, and estimation projects. Drone service presents new perspectives on traditional inspection, monitoring and documentation operations. See traditional tasks from a new perspective. Enhance everyday tasks with a drone point of view. 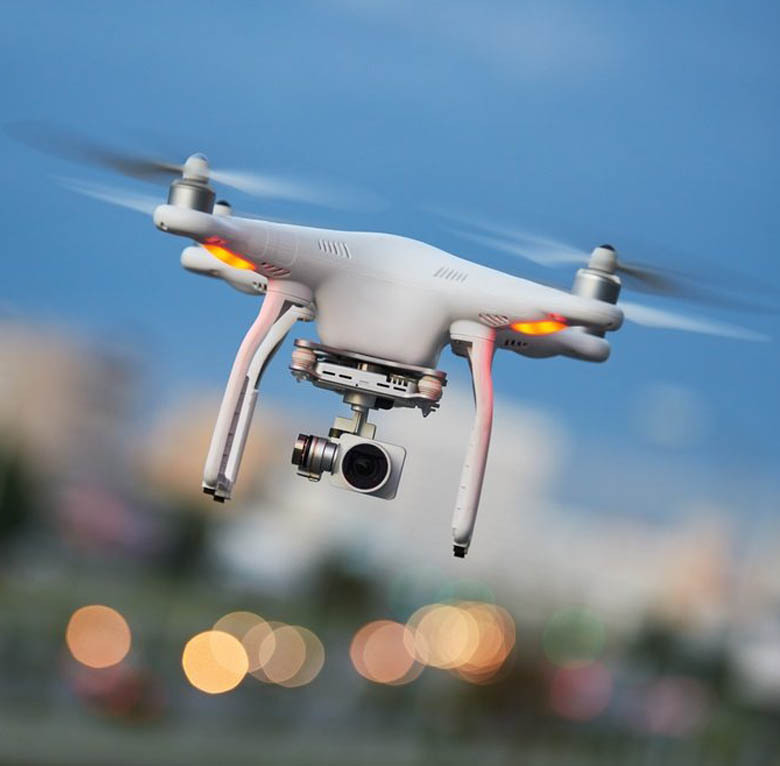 Learn more about drone service and how it can enhance your business operations. 56% of consumers believe drone package delivery will be faster. 53% believe deliveries made by drones would be environmentally friendly. Our drone service technology challenges traditional land survey and mapping techniques. We execute these precision tasks with reliable 3-D point clouds, geo-referenced orthomosaics, and digital surface models. Surveyors can work safely, accurately, and more efficiently when our drones perform aerial tasks. When regulatory, industrial, or construction standards require compliance inspections, drones simplify the process. Our pilots conduct inspections and document results with DSLR and thermal cameras. We eliminate dangerous human access operations for turbine, cell tower, industrial, construction, and infrastructure inspections. Aerial imagery is a critical resource for documenting farm records, golf landscapes, disaster imagery, and environmental change. Drone-fulfilled inspection services speed results, eliminate guesswork and reduce expenses. Grey Matter’s technically proficient drone service pilots are the key to photography precision. Grey Matter’s aerial videos answer questions and preserve critical moments with digital clarity. We document commercial facilities, real estate, and inaccessible properties in disaster-ravaged locations. Our pilots capture outdoor weddings, special celebrations, and sporting events from a unique aerial perspective. FANTASTIC. I had no idea that there would be such a difference in technology. Transition was easy. Installation by James was a breeze.